When German, wheelchair-bound terrorist Alby the Cruel (Dammett) uses his team of female soldiers to take a busload of Americans in the Philippines hostage, a team of special anti-terrorist agents are dispatched to save the innocents. Steve Gordon (Huff), Jennifer Barnes (Emilia Crow) and of course Spike Shinobi (Kosugi) are sent in to save the day. It seems Alby is demanding the release from prison of Rahji (Sonny Erang), a grinning, drooling idiot of a terrorist. He's so evil, he goes around popping kids' balloons just for fun. Once he is released, only one group of people can stop the terrorists and free the hostages...Steve, Jennifer and Spike! Did you think it would be someone else? The fact that Sho Kosugi's name here is Spike Shinobi should tell you everything you need to know about this movie. And that it was shot in the Philippines (and that it's a Crown International production). Knowing these things should help you appreciate the silliness within. This anti-terrorist crew hangs out together by the pool, and Spike practices his sword skills on watermelons, then serves them to his compatriots. Narrowly missing a kitten while blindfolded sword-chopping is an important technique to have. Also they have very snappy matching jumpsuits. But when their boss calls in "Dark Team - Red Option 4" they snap into action. This obviously isn't to be confused with Robert Vaughn's "Control 5" from Deadly Reckoning (1998). Blackie Dammett chews the scenery as Alby, and his beloved pet, a monkey with a diaper, is a highlight of his terrorist training camp (any bad guy worth his salt has one). But are they any match for the blow-pop loving Spike (he has a special holster on his belt to hold his blow pops)? When the action in the movie turns to a jungle scenario as the team gets closer to the training camp, Huff goes all Rambo with his headband and giant machine gun. 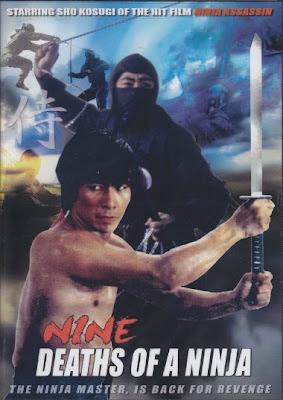 They're really pulling out all the stops because Kosugi's sons Shane and Kane are trapped on the hijacked bus. Luckily, they are crafty li'l devils that have some tricks up their sleeve as well. 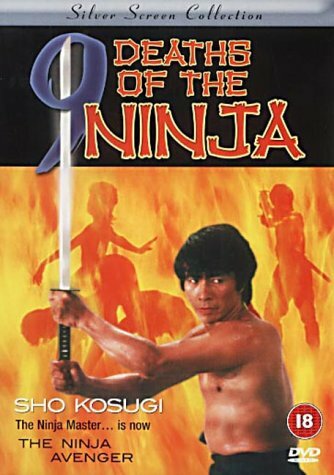 Sure, many things about this film make no sense, including the fact that Sho isn't technically a ninja in the film, and the title makes NO sense considering the action in the film, but they needed to call it something cool, especially because the ninja boom was in full swing at this time. 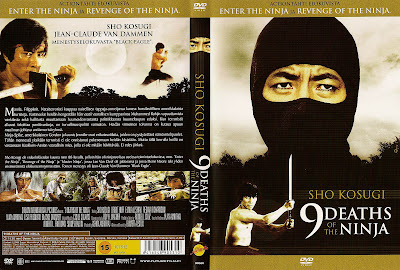 I guess they figured simply the presence of Sho Kosugi made this a ninja movie. All of the silly stunts and nonsensical actions are completely and totally justified by the amazing opening credits sequence. They really don't make 'em like this anymore. It really should have gone on longer. Sadly, the movie never improves upon this opening sequence. We can't describe it, you just have to see it for yourself. You'll be glad you did. For pretty ridiculous, pseudo-ninja action, try Nine Deaths of the Ninja. You could do a lot worse. This at least has some crazy, silly, funny stuff, which can't be said about a lot of other movies of its ilk. Plus it has Sho. If you see it, get it.